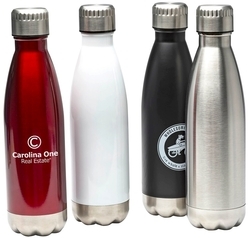 This smooth walled water bottle is the staple of the promotional products and barware Industry. 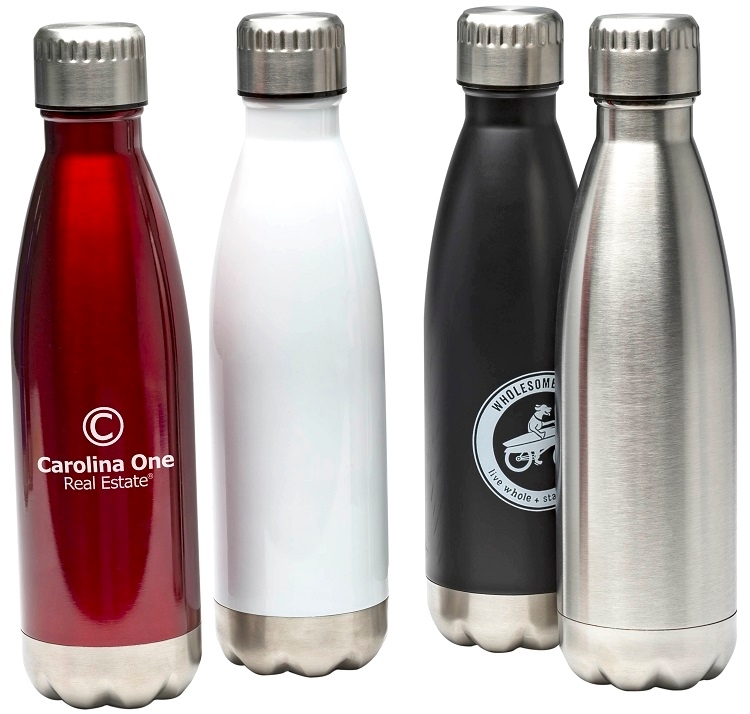 The stainless steel bottle is perfect for the beach, sporting events, tailgates, festivals, giveaways, and social activities! 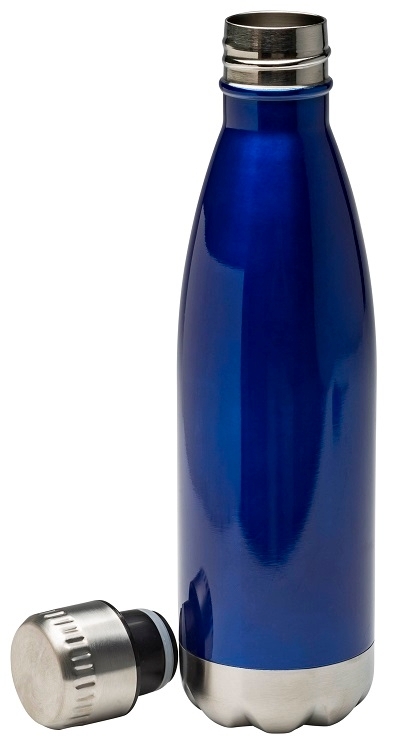 A durable, eco-friendly, fun, custom bottle that will be taken home and reused. American printed, this is perfect for any school, golf, real estate, or healthcare promotion! This drinkware also is great to just keep around the house! Imprint Size: 2 1/2”w x 2 1/2”h per side, 5”w x 2 1/2”h wrap. Additional Imprint Colors: Unfortunately not applicable on the Glacier.